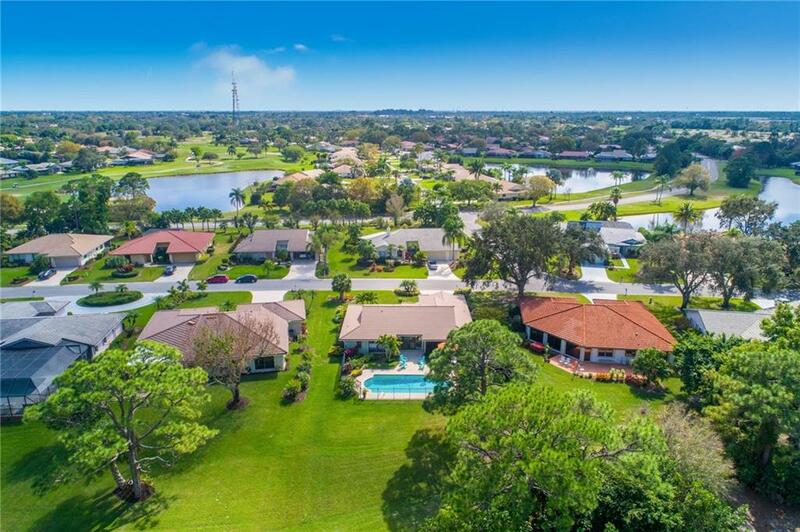 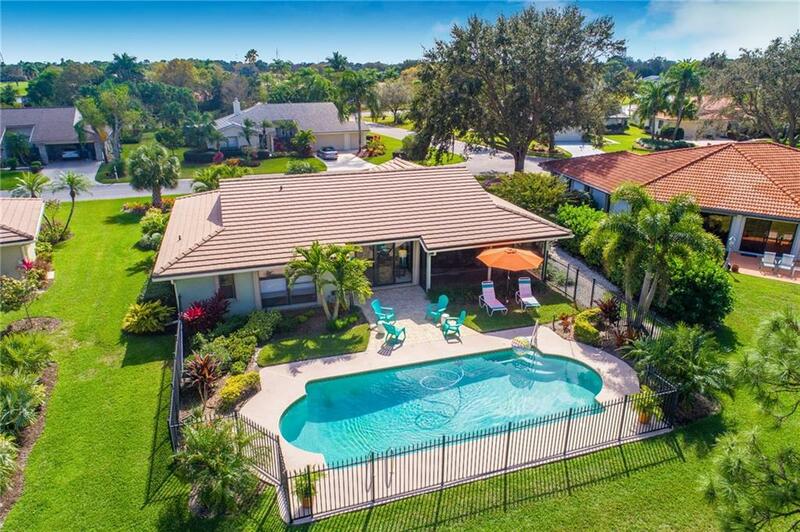 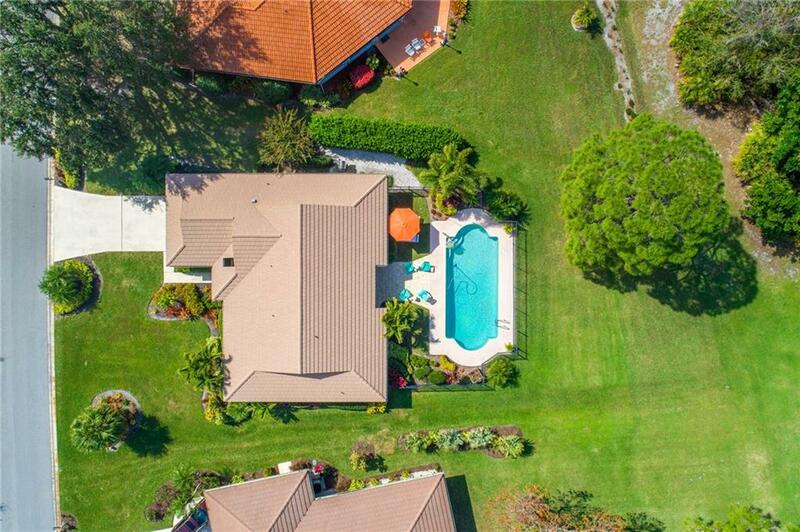 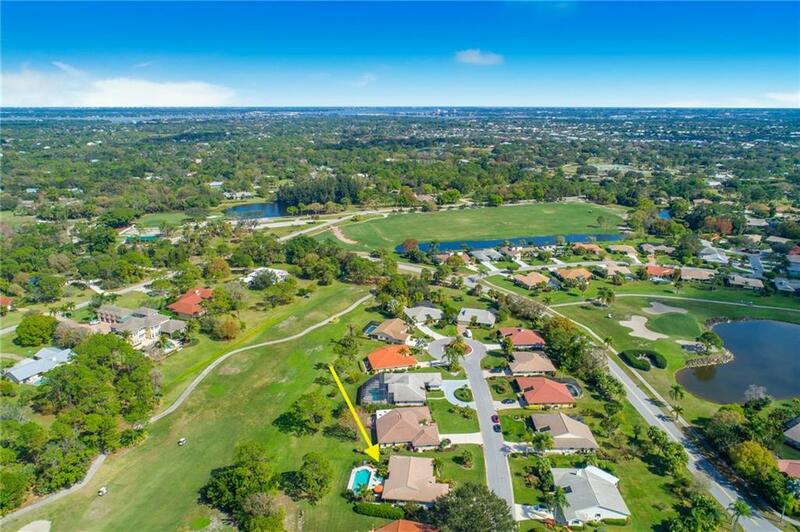 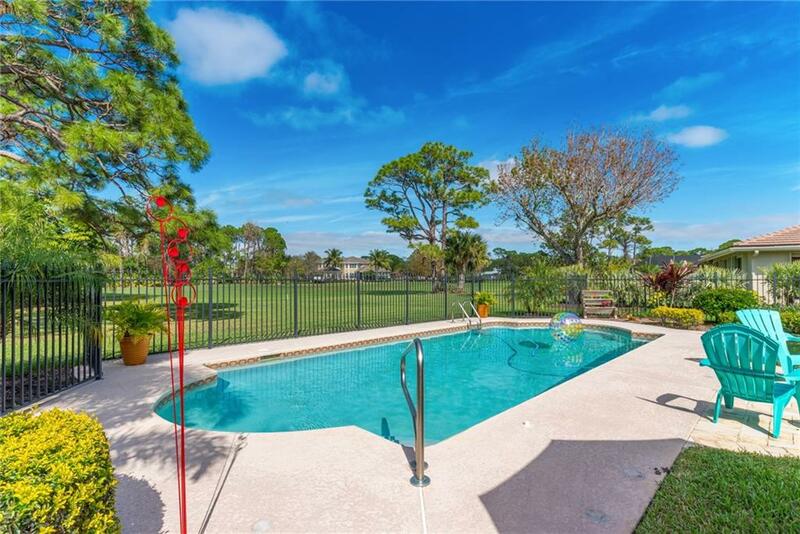 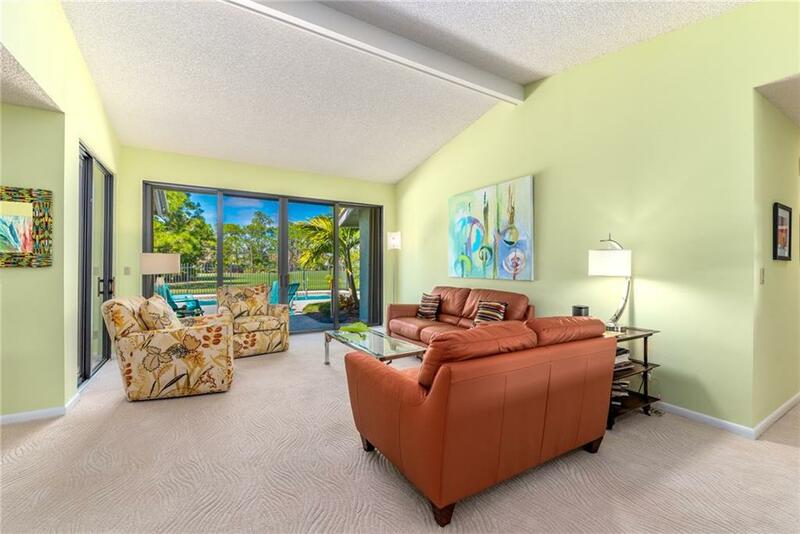 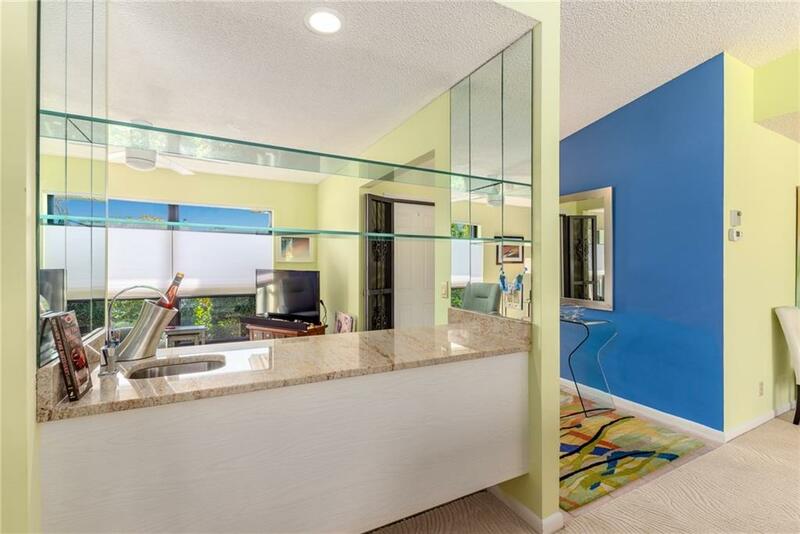 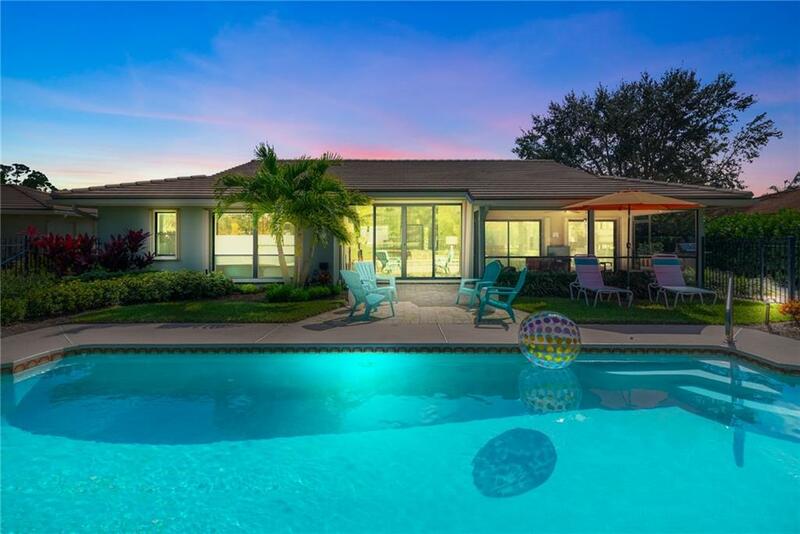 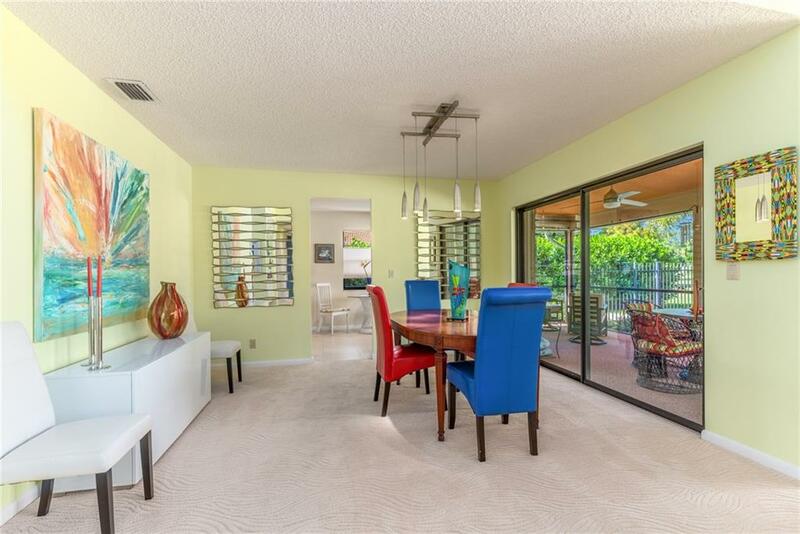 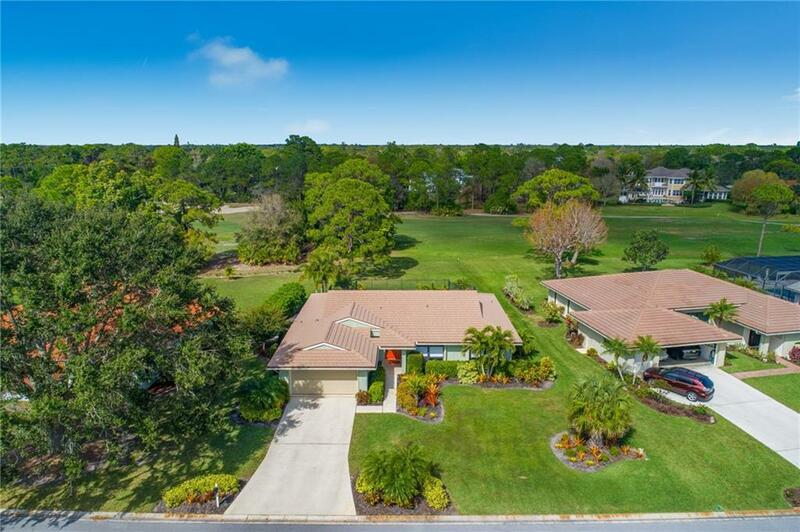 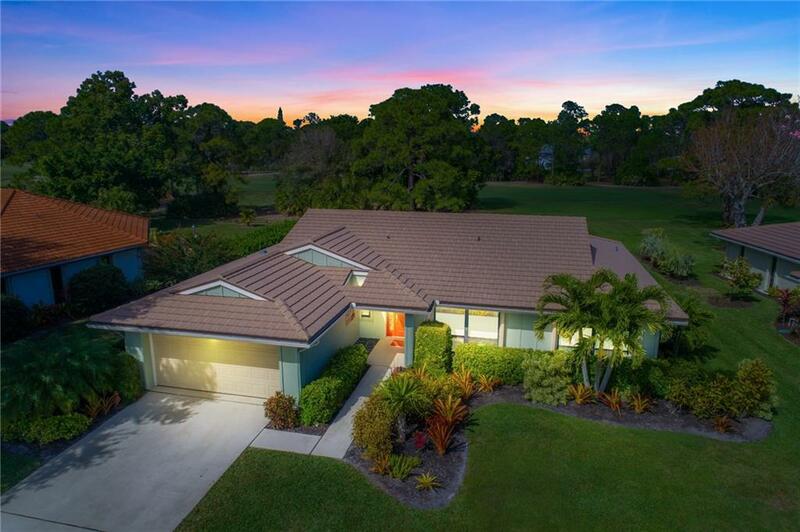 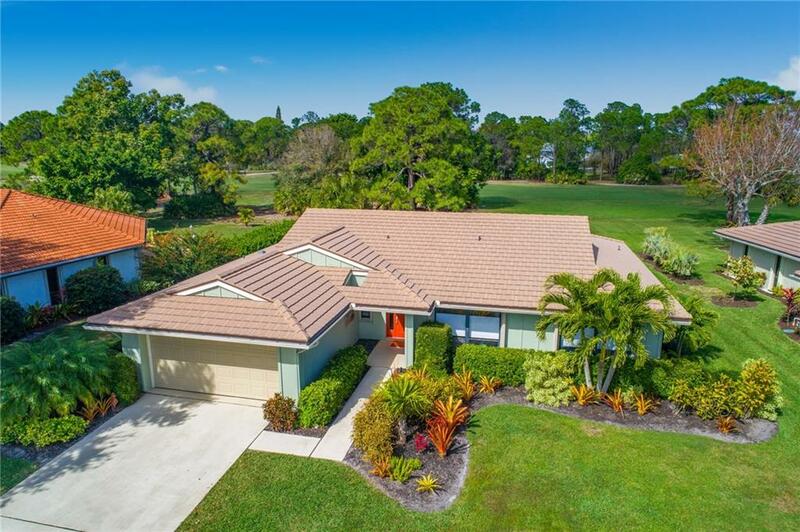 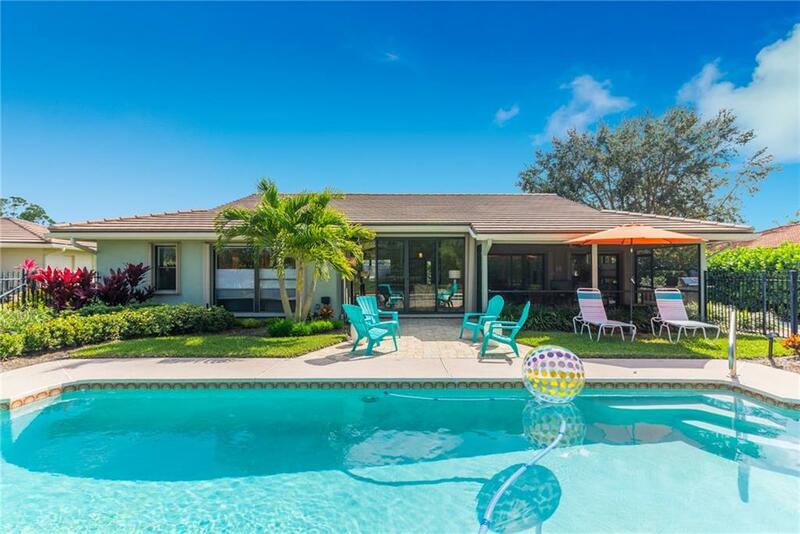 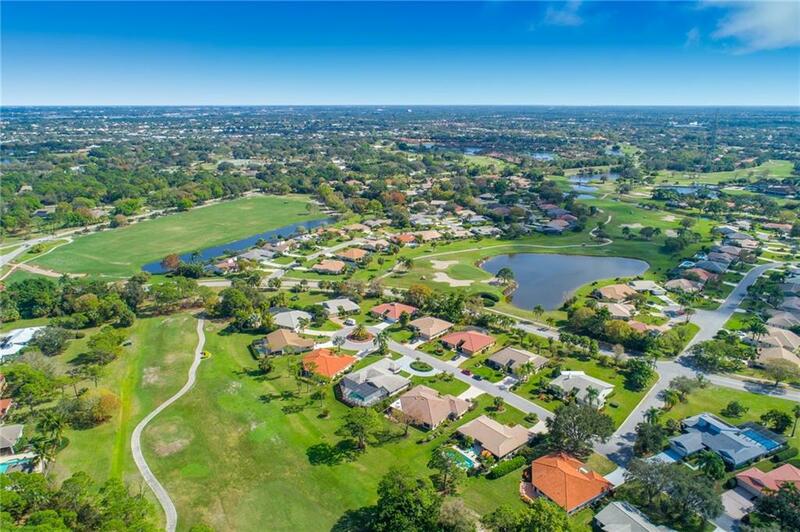 Beautiful newly remodeled contemporary POOL home on a premium lot overlooking the golf course. 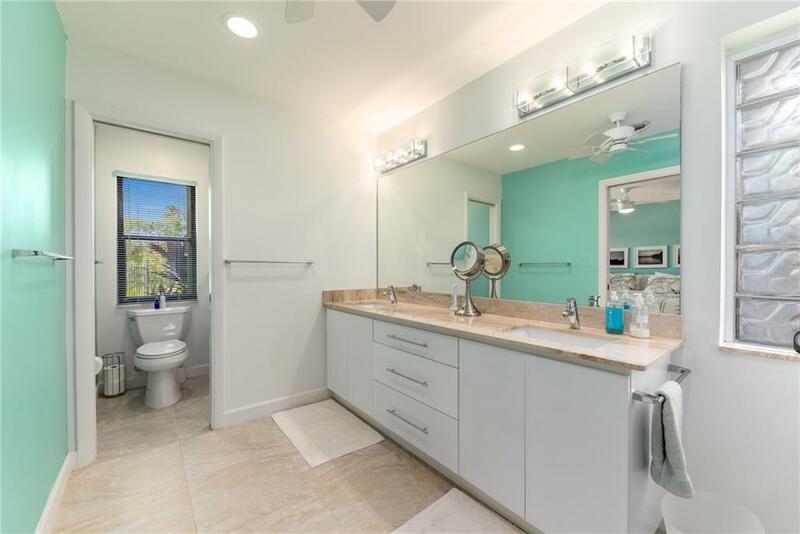 Designer finishes and upgrades throughout! 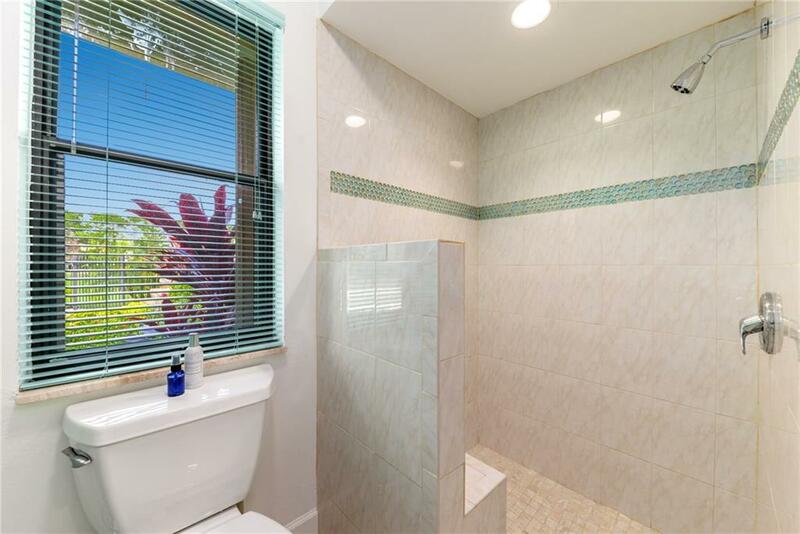 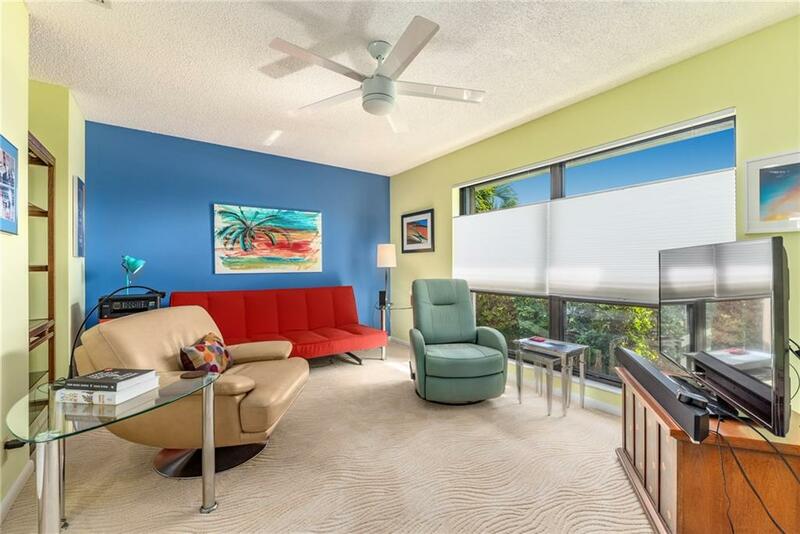 Light and bright with lots of windows and natural sunlight! 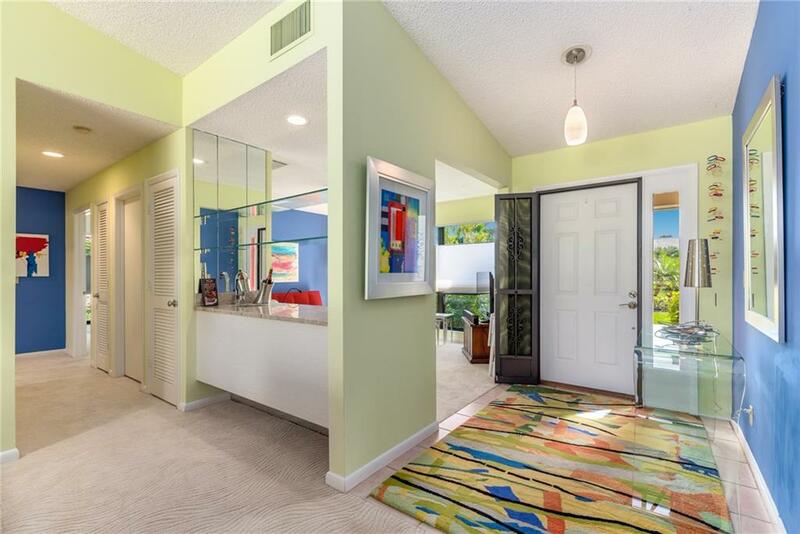 This is the ultimate open floor plan that everyone is looking for. 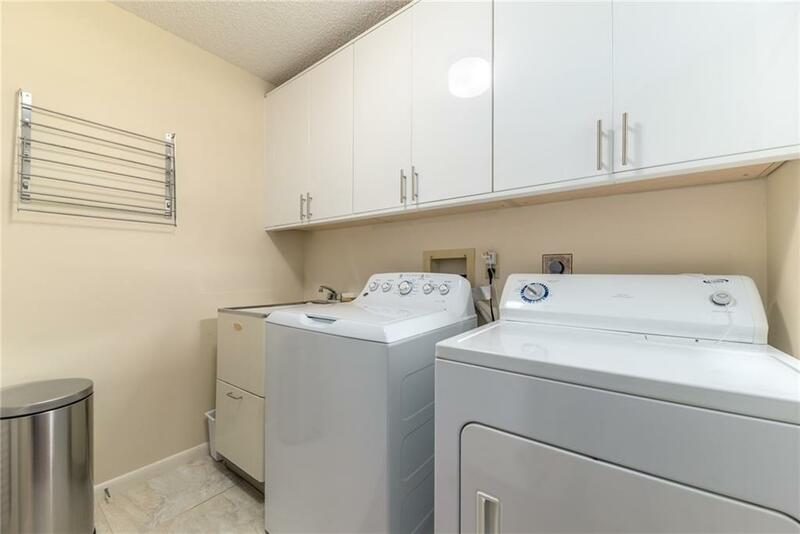 Two bedroom with den that can easily be converted to a third bedroom. 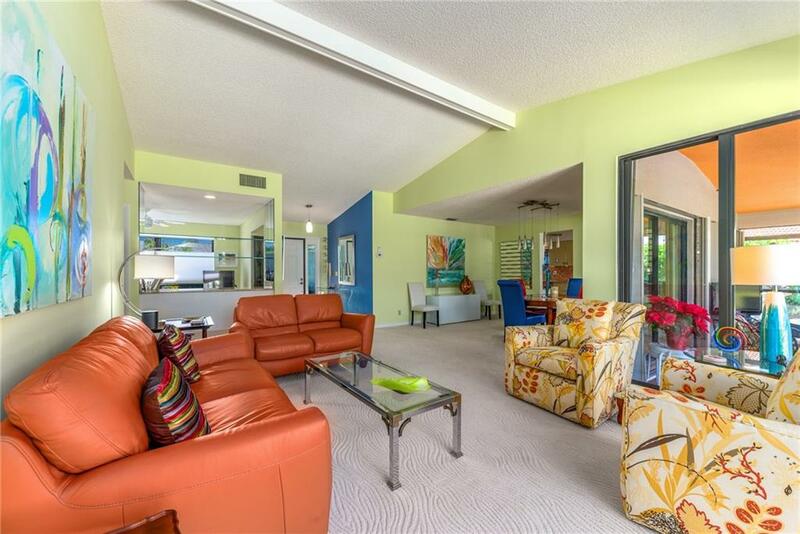 Large living room and dining room ideal for entertaining and family gatherings. 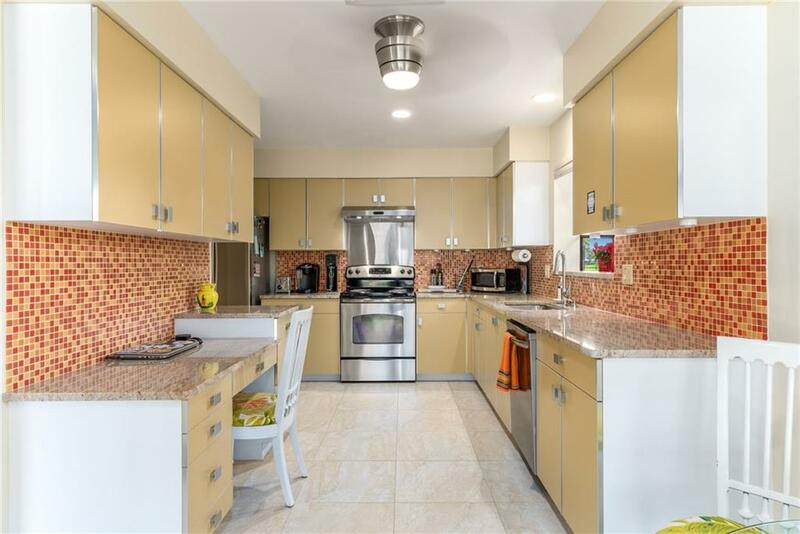 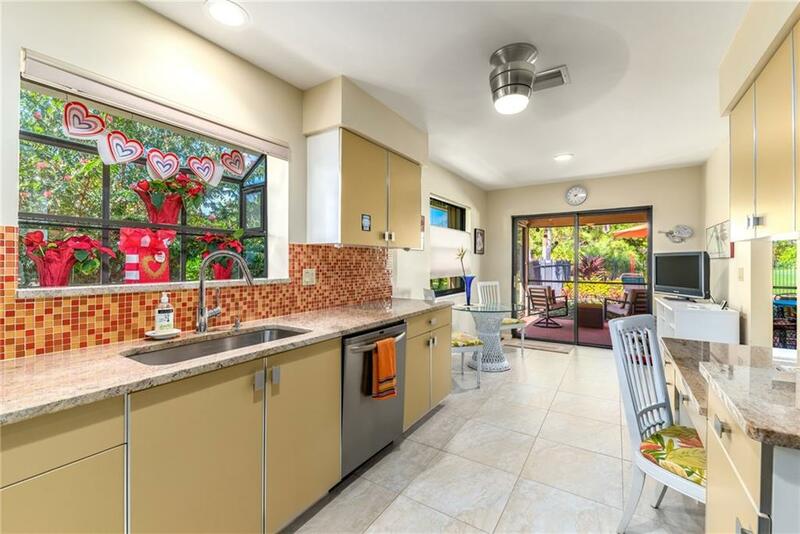 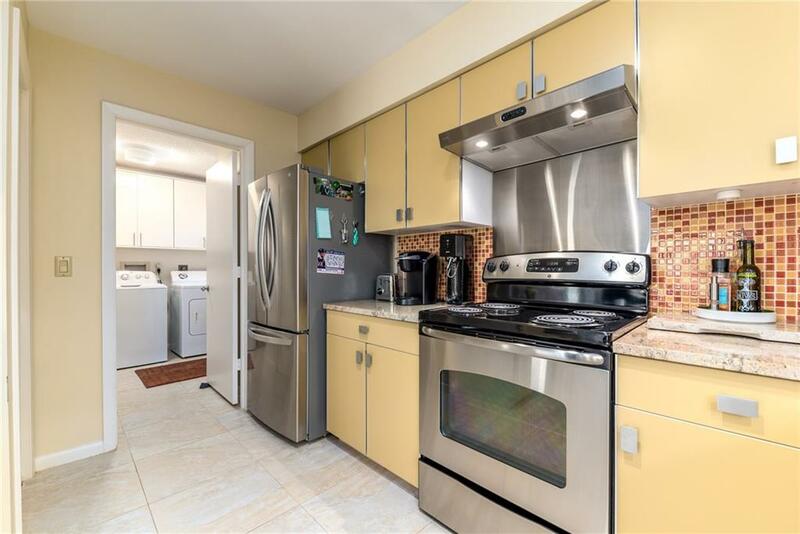 Modern eat in kitchen with SS appliances, granite countertops and tile backsplash. 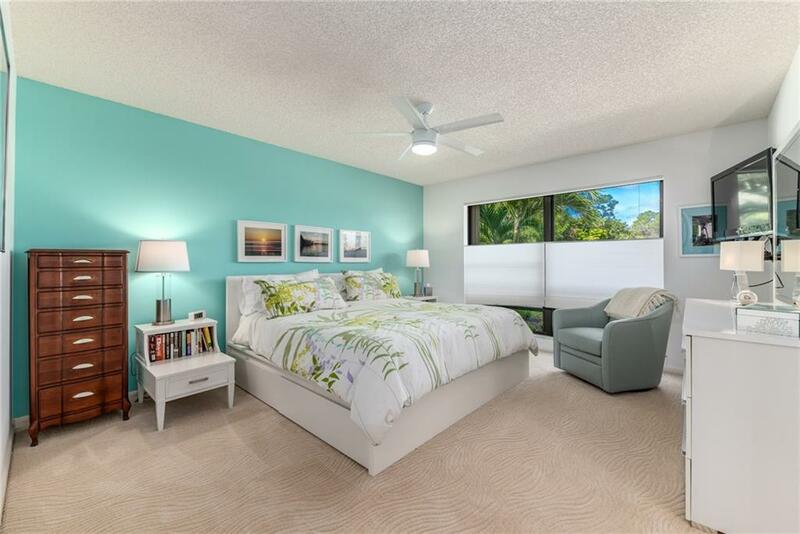 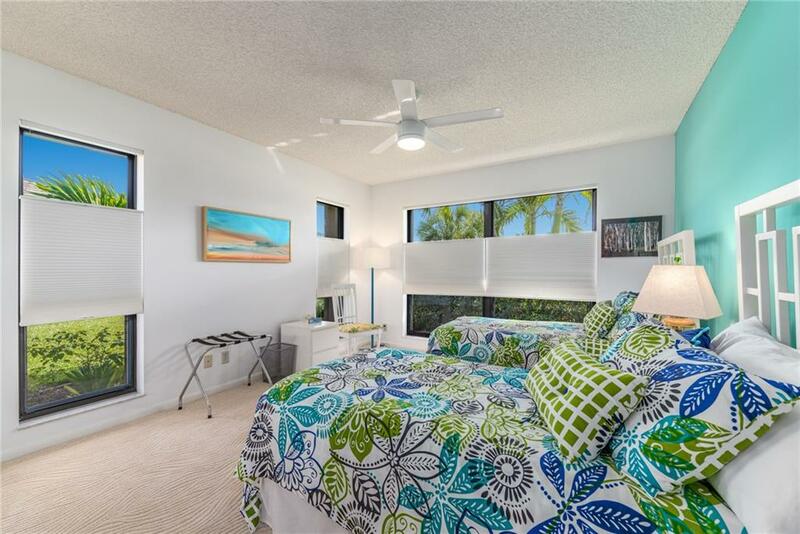 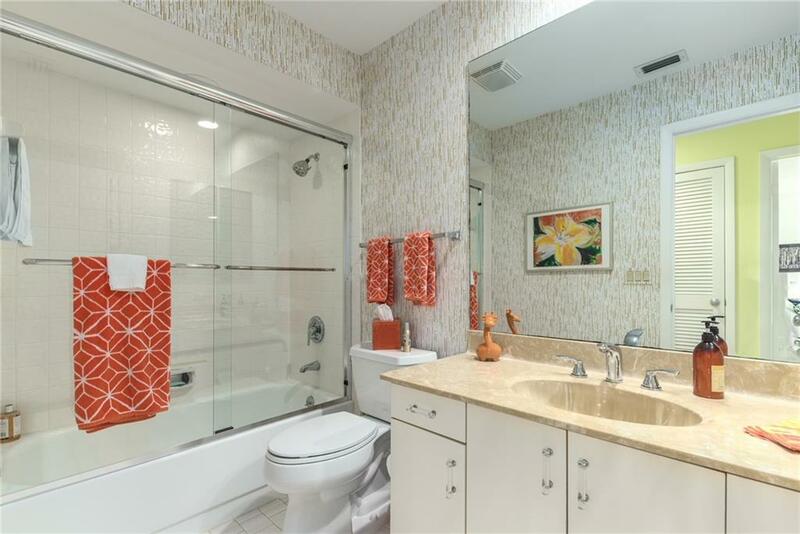 Luxurious master bedroom suite with generous walk in closet and updated spa-like master bath. 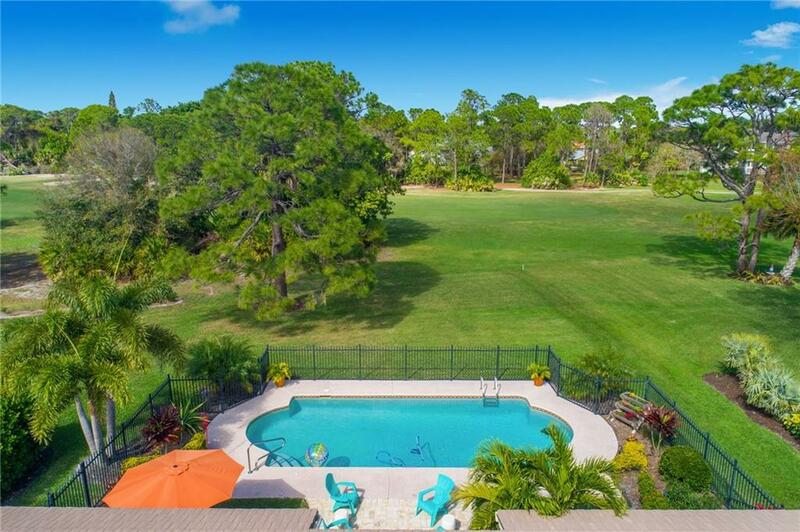 Resort style backyard with large in ground pool, lovely screened in porch and beautiful landscape lighting. 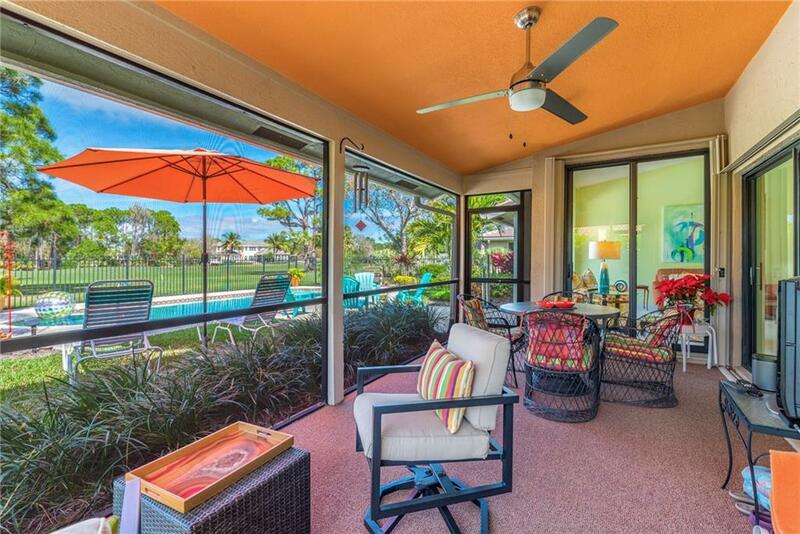 Neighborhood amenities include clubhouse, restaurant and "coming soon" sports facility, 24 hour manned gate. 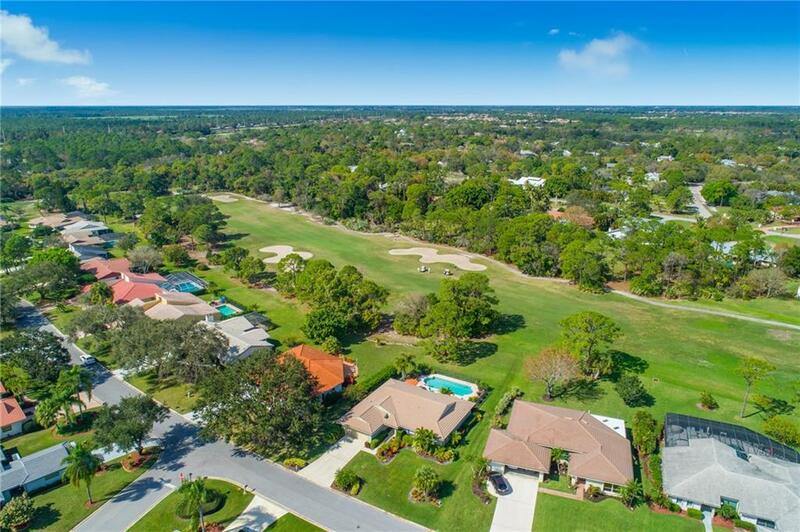 Golf memberships available but not mandatory. 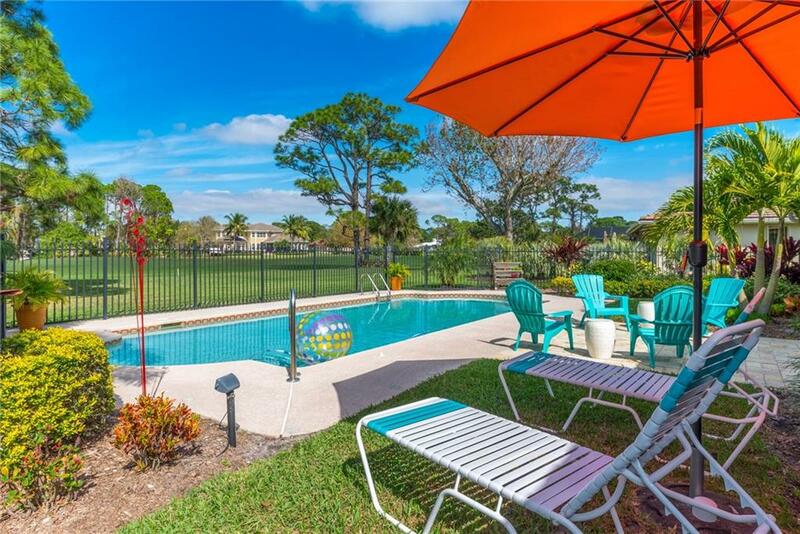 Close to A+ rated schools, shopping, dining and more!